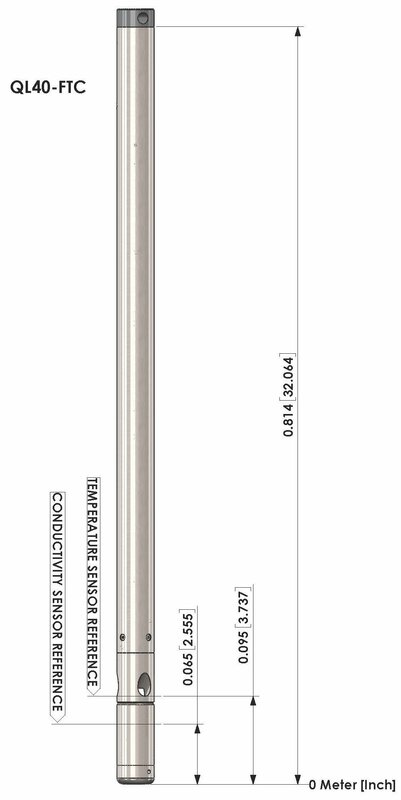 The QL40-FTC, QL40-FTC-I, and 40FTC probes provide borehole temperature and fluid conductivity measurements. 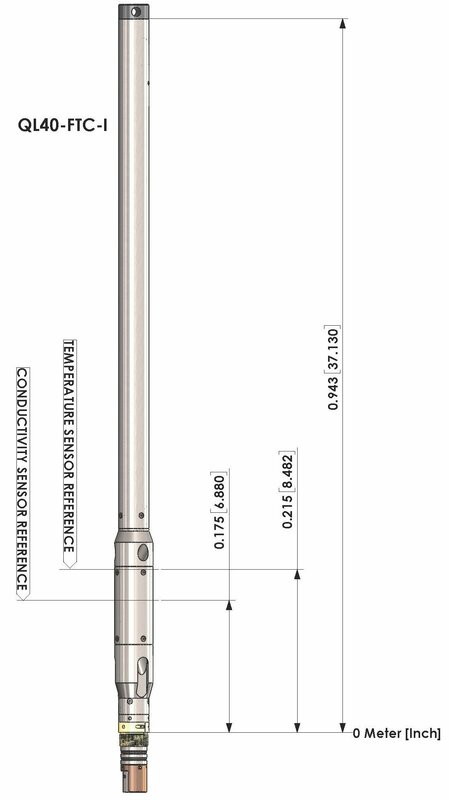 The standard temperature log, based on a thermister, is designed to provide a measure of the ambient geothermal gradient and is helpful to detect anomalies caused by events such as fluid flow into the borehole. The borehole fluid conductivity is directly proportional to the concentration of dissolved minerals. It is generally used in hydrogeology to determine the concentration of dissolved ions in the aquifers and to locate the fluid flows occurring in the borehole, especially if some time has passed and the temperature features have dissipated. It is important to differentiate between fluid inflow anomalies and formation conductivity anomalies identified on the temperature logs. The QL40-FTC can be combined with other logging tools of the QL (Quick Link) product line as a bottom-sub only sonde or used inline as the QL40-FTC-I. This tool can also be operated as a standalone, non-stackable tool known as the 40FTC. In comparison with tools from competitors, this fluid temperature and conductivity tool is capable of recording a wide range of conductivity from fresh to highly saturated water. Easy to calibrate. Measurements are accurate and consistent. Diameter 40 mm 1.6 in. Length 0.81 m 32.1 in. Weight 3.35 kg 7.2 lbs. Diameter 52 mm 2.05 in. Length 0.94 m 37.1 in. Weight 6.2 kg 13.7 lbs.